This second edition features more case studies from real top-level sport, including football, basketball and athletics, helping the student to understand how to apply their knowledge in practice and providing useful material for classroom discussion. The book also includes a greater range of international examples; more references to contemporary research and a stronger evidence base, and new questions in each chapter to encourage the student to reflect upon their own coaching practice. Foundations of Sports Coaching bridges the gap between theory and applied practice and is essential reading for all introductory coaching courses and for any sports coach looking to develop their professional expertise. 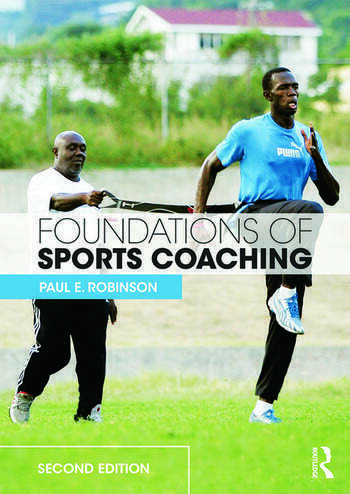 Paul E. Robinson is Senior Lecturer in Sports Coaching Science at the University of Chichester, UK. He is an England Hockey Level 3 coach and a coach educator, tutor and assessor. His research interests lie in skill acquisition, specifically implicit and explicit learning and decision making.